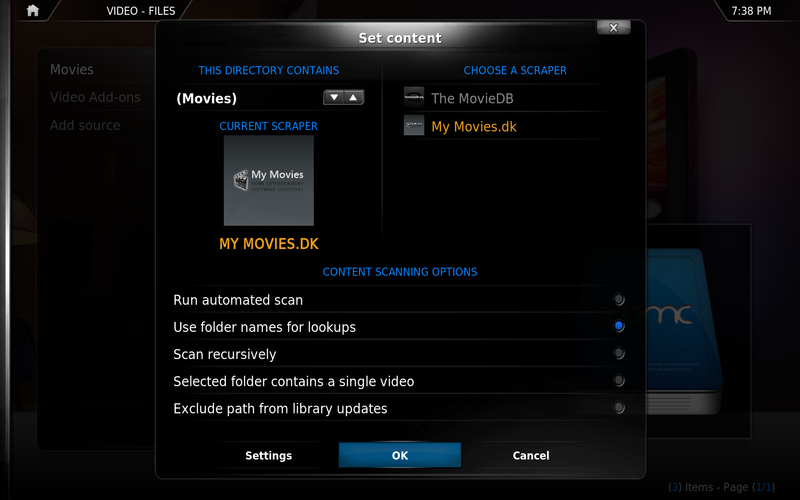 Using the My Movies API, you can now access the high quality My Movies meta-data from within XBMC using your My Movies account. The service can be accessed either by purchasing an API access ($20 + VAT %25 in EU), by contributing data to our service up to where you have 2500 points on your account, or you can create a 21 day trial for the 2500 points, to evaluate the add-on. Notice that the add-on is a partly commercial option, as you can choose to purchase access or contribute data to gain access to the service. The add-on is created for users who do not want other programs than XBMC itself to maintain the meta-data. You can as an alternative download and install My Movies Server/Client or My Movies for Windows Home Server to freely store My Movies meta-data for XBMC into your movie folders, or you can combine the usage of the scraper and the software. The My Movies add-on is actually not a scraper as most movie information add-ons are. 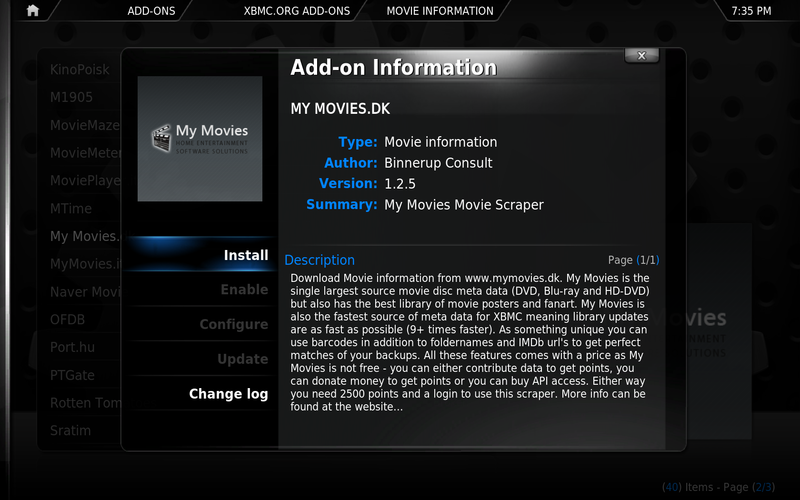 Instead of scraping a website, the add-on talks to the My Movies API directly and receives easy to process XML data, which is imported into XBMC's library. Along with the speed and stability of our servers, this process makes the My Movies "scraper" much faster and reliable than most other add-ons for XBMC, at the same time as providing you with the best available meta-data. Purchase a $20 (+ VAT %25 in EU) API access here. This gives you a not time limited access to the My Movies API. You will be able to download up to 2.500 titles from our service, and at 2.500 titles, our service will temporary hold your account from downloading more titles, to avoid data harvesting. Should you reach the 2.500 title limit, you can contact support@mymovies.dk to lift the limitation and receive access for another 2.500 titles. Unless we find that your account have been used in ways that does not comply with the usage terms of the API, lifting the limit can be done indefinately, making the access unlimited. Gain 2.500 points for your account. Users who have 2.500 points or more on their account will automatically be given access to the API without the need to purchase API access. This means that users who already use our software, and either have purchased points for their account, contributed data to our service or users who would like to purchase points to unlock features in our software can use the 2.500 points to use the service. New users can start to contribute data to reach the 2.500 points. Accounts accessing the service using points will also be limited to loading 2.500 titles from the service at a time, just as the purchased API option. Create a 21 day 2500 point trial here. During the trial period, your account will have access to the My Movies API as if you had 2.500 points, however to avoid data harvesting using trial accounts, during a trial period, your account is limited to loading maximum 250 titles from our service. During the trial period, if you purchase an API access, the 250 title limit will be lifted. Even if you have purchased API access to our service, your data contributions are very welcome, to increase the quality of the service for both yourself and others. 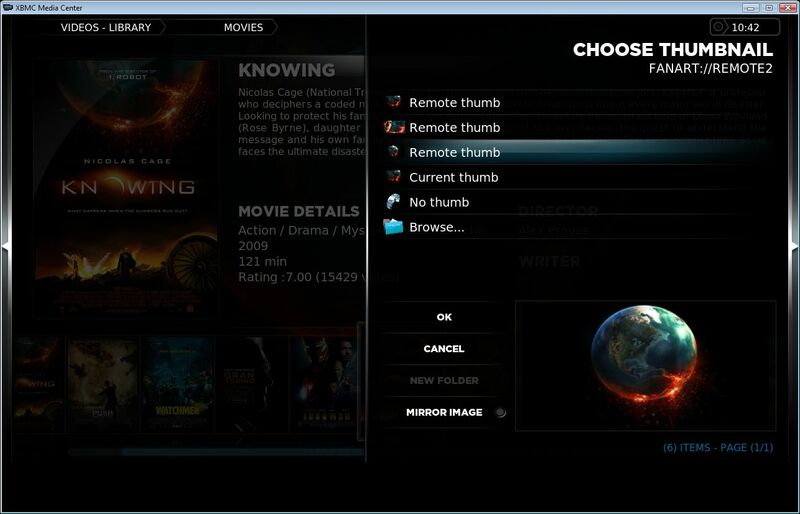 Since XBMC 10.0 (Dharma) an easy to use add-on repository has been added. 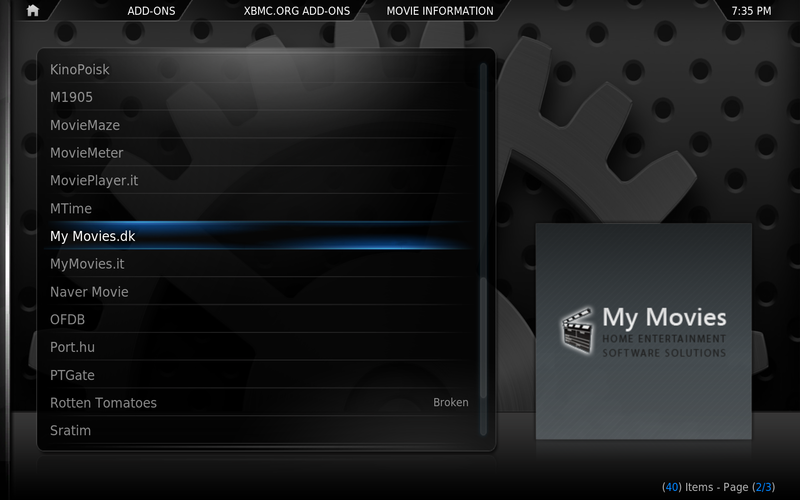 This makes sure that you have easy access from within XBMC, to all available add-ons. Add-ons are automatically updated to give an easy and smooth user experience. 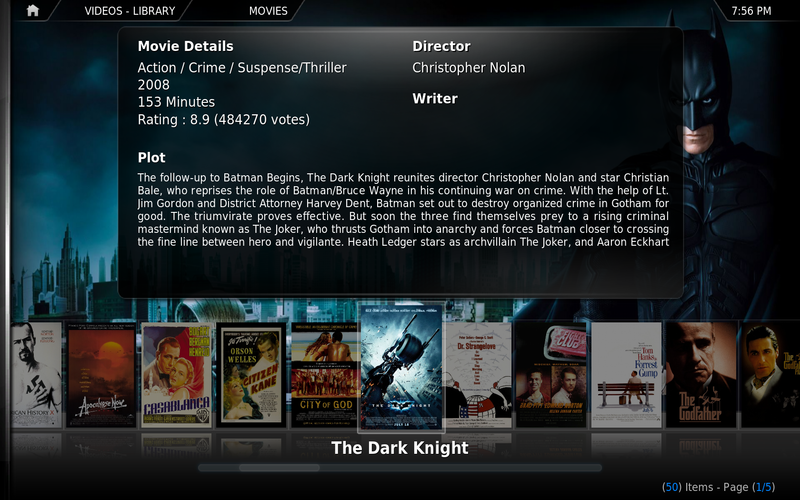 Go to Settings - Add-ons - Movie information and install the "My Movies.dk" add-on. Afterward you configure it with your login details and customize the other settings to your liking. 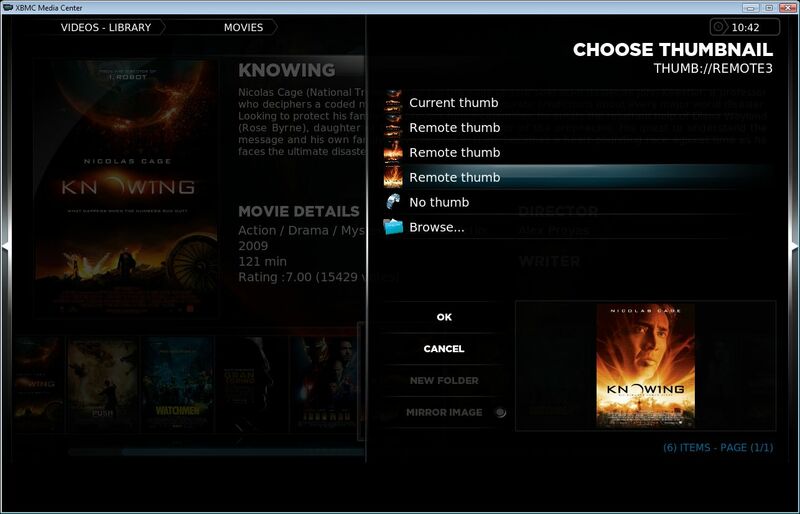 Now when you add a new source, XBMC will ask you which type of media the source contains and from this list you choose movies bringing up the My Movies add-on as an available movie information add-on. 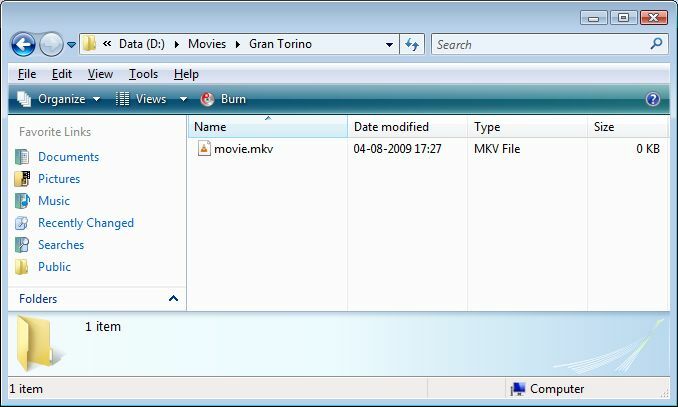 Use Disc data instead of Movie data: This option enables searching by disc title rather than in the movie database. This makes it possible to find DVD's which does not have IMDb id's. Language, Movie data: Used when Disc data is not enabled. Text, trailers and posters fetched for your movies will be returned in the preferred language if available. If preferred language is not available, text and posters will be fetched in English. Country, Disc data: Used when Disc data is enabled instead of selected language. Enable Fanart: Use this option to enable or disable the addition of fanart/backdrops to your library. Preferred trailer bitrate: Choose the highest trailer bitrate your internet connection can stream. If you have pauses, you need to lower this value and update movie information. Include adult movies: Adult titles will be included in title searches, and will be added as normal titles. Optionally, you can place an NFO file containing the IMDb url or barcode of the movie. This forces the My Movies scraper to locate this specific movie to get a 100% safe match. Barcode URL must be written in this format; barcode://<12-13 numbers> (NB! No spaces or dashes - only numbers!). For titles that does not have an NFO file, the folder name will be used for searching for the movie. If a trailer is available, it can be reached via the Movie Information. Comparing My Movies with the most popular scrapers; TMDB and IMDb looking at speed and quality of metadata and trying to be as objective as possible. For comparison we use IMDb's top 50 movies which are voted by a lot of their users. This might be to an advantage for the IMDb scraper. I choose to not have any IMDb urls in NFO files to test how the scrapers manage to find correct titles (especially remakes). 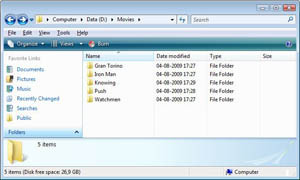 A folder structure is created with movies in each folder. 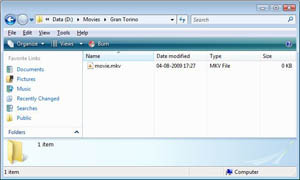 A movie is a 0 byte MKV file called movie.mkv. XBMC's database etc is deleted before each run. 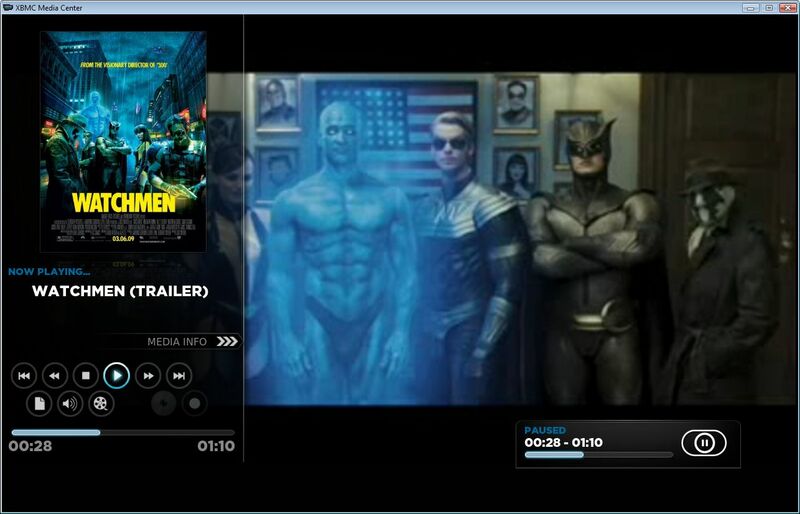 XBMC 10.0 is used. Trailers and IMDb ranking are fetched . Time: 33 minutes 37 seconds. Incorrect titles: 2: WALL·E and Léon. Missing fanart: 1: The Shining. Time: 35 minutes 24 seconds. Time: 3 minutes 38 second. 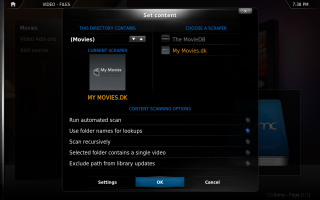 XBMC's default Movie Information scraper using TMDB (themoviedb.org) is still no match for My Movies. It still makes mistakes and is very slow. IMDb (imdb.org) scraper does a very good job as it makes no mistakes (Would also have been bad since the list of movies comes from their top 50 movies). However it is also very slow and for large movie collections you need to set aside many hours for updating your library. 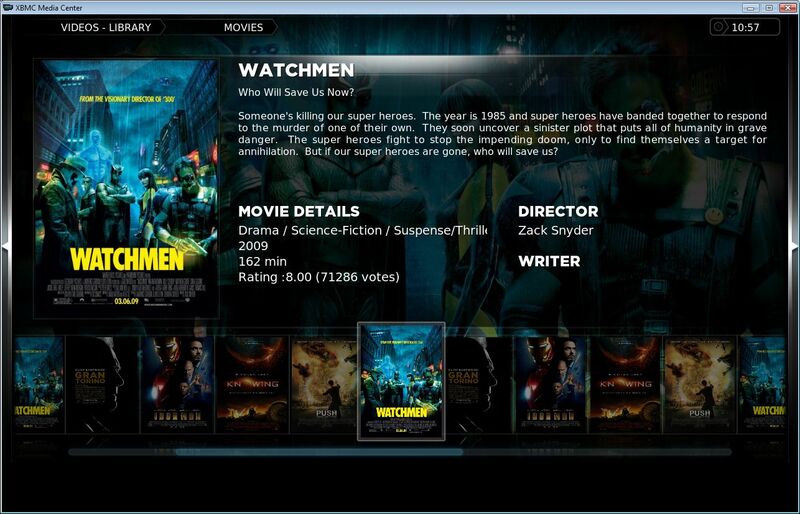 MyMovies.dk scraper does a very good job. It is more than 10 times faster than the IMDb scraper. It makes no mistakes when finding titles. IMDb fanart is fetched from TMDB. TMDB does not have a report or rating system like My Movies does which is why I will rate My Movies fanart and posters/covers as higher quality. My Movies has proper support for Posters, DVD and Blu-ray/HD-DVD covers. You will not end up with a mismatch of different looking covers in most cases (some movie posters does not follow the standard that most does with credits at the bottom). Speed: MyMovies.dk for being 10 times faster. Matches: MyMovies.dk + IMDb for both correctly finding all 50 titles. Text: MyMovies.dk + IMDb for bot having plots for all 50 titles. Posters+Fanart: MyMovies.dk for count and quality. MyMovies.dk: 4 out of 4. IMDb: 2 out of 4. TMDb: 0 out of 4. Once again My Movies owns the competition proving to be the number one choice for those who prefer speed and quality over "free". 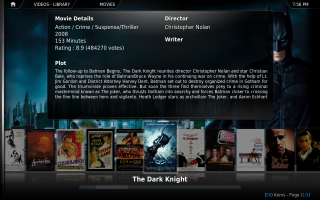 With the My Movies.DK Add-on you are able to get high quality meta-data and graphics into your XBMC library at a very high speed. The data retrieved is either film data or disc data. Using disc data you do not know what you get. This is because XBMC currently do not support disc id's (which My Movies do), so we are unable to determine the media type when loading data from the My Movies WebService. This might change some day in XBMC and if it does then the My Movies scraper can easily be extended to support this and then optionally correct DVD, HD-DVD or Blu-ray front and meta-data will be shown in XBMC, rather than movie posters and movie meta-data. 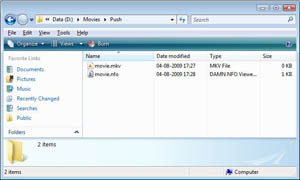 From version 1.2 of the My Movies XBMC Scraper it is possible to retrieve correct disc data either by searching for title combined with country, or by specifying a barcode in a NFO file to get 100% correct match. 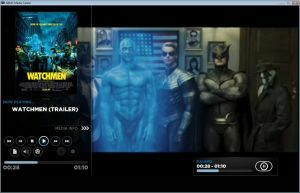 Tell us how much you enjoy My Movies and the XBMC Add-on in our forums.